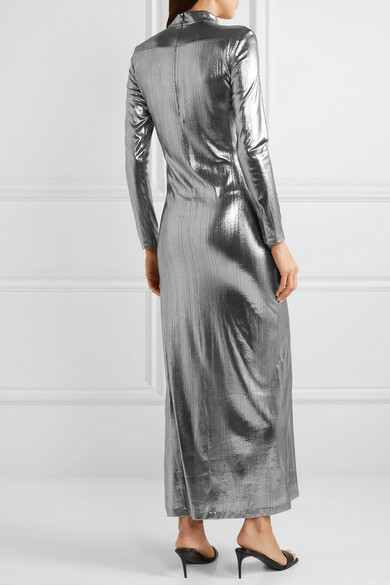 Bella Freud's 'Radzville' dress may have a simple silhouette, but the shimmering lamé fabric makes it a standout piece. 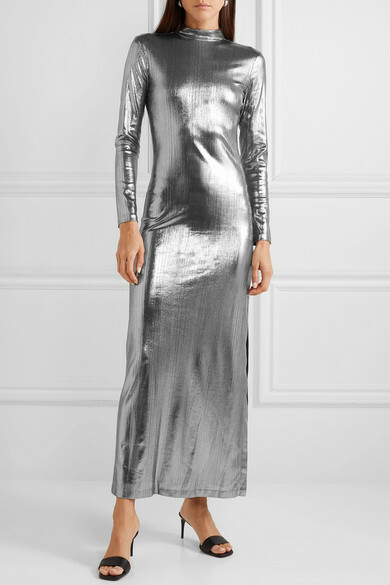 Perfect for weddings or parties, it's designed for a close fit and has an elegant mock neck and split hem that shows off just the right amount of skin. Wear yours with this season's barely-there sandals or block heel ankle boots. Shown here with: Carolina Santo Domingo Shoulder bag, Stella McCartney Mules, Sophie Buhai Earrings.